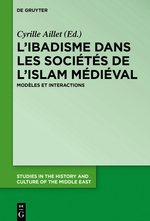 The history of Ibadism is still marginalized in Islamic studies, while there has been a significant increase of the available sources from Oman and North Africa. This books provides an overview of the scattered communities that formed the Ibadi archipelago during medieval times. It gives an insight into tribal patterns and power relationships and investigates on the political and social models developed by this school. How did Ibadism justify political dissidence and rebellion and reinterpret the legacy of former Kharijite movements? How did it conceive political collegiality and put this model into practice? How did this minority coexisted and competed with the majority? Switching from the East to the West and from a broad frame of interpretation to local case studies, the volume seeks to better understand the political thought and social patterns that characterized this religious stream. Besides questioning the paradigm of the Imamate, we also explore how stateless societies could be regulated by collective social and religious institutions. Bergeaud-Blackler, Florence, Fischer, Johan & Lever, John (dir. ), Halal Matters. Islam, Politics and Markets in Global Perspective, New York, Routledge, 2015, 204 p.
Yiltiz, Palizhati S., Parlons ouïgour, Paris, L’Harmattan, 2014, 334p. Yorulmaz, Naci, Arming the Sultan: German Arms Trade and Personal Diplomacy in the Ottoman Empire Before World War I, London, I.B.Tauris & Co, 2014, 256p.